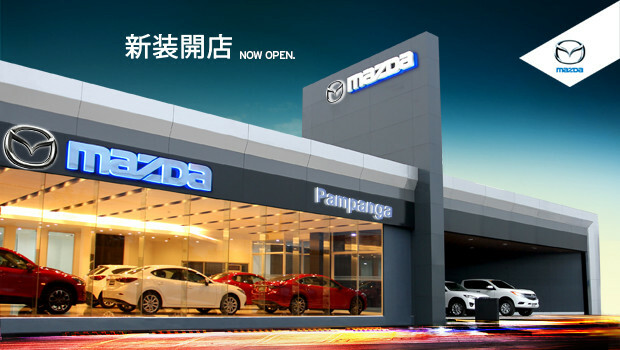 Mazda customers from Central and Northern Luzon now have a new home as Mazda Pampanga opens the doors to its latest full-service showroom along Jose Abad Santos avenue in San Fernando, Pampanga. The 1,299-square meter facility offers a full service sales and service experience for old and new Mazda vehicles. Of that space, a 212-square meter showroom area can showcase up to six vehicles with a further three more units in the outdoor display. A further 634-square meters houses ten working bays that caters to the latest SKYACTIV technology-equipped Mazda models such as the all-new Mazda2, the Mazda3, the Mazda6, CX-5 and the two-seat MX-5 open-top roadster. “With this full-service facility, we hope to bring the Mazda brand, its award-winning KODO: Soul of motion design concept and the superior fuel efficiency provided by its SKYACTIV suite of technologies closer to our customers here in Central Luzon,” shares Steven Tan, President and CEO of Mazda Philippines. The brand new Mazda Pampanga dealership and service center is open Mondays to Fridays from 8:30 AM to 5:30PM and up to 5:00 PM on Saturdays.